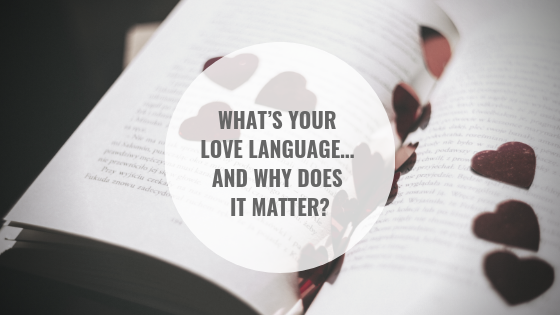 What’s Your Love Language… And Why Does it Matter? I have a few online Goddesses I follow. 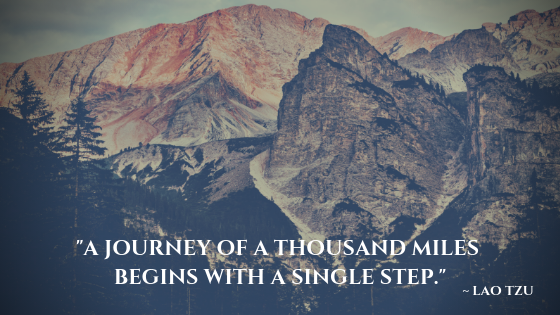 Women entrepreneurs who have built an empire educating other women on how to be successful. Much like my own blog, they are comfortable sharing their stories of success and failure and want others to benefit from the knowledge they have. In watching my online videos I will occasionally stumble upon a gem. A piece of knowledge, a book to read, a way of thinking, or an exercise that truly moves me forward. I recently had one of those experiences. The video, by my career-crush and woman with the best hair in the world Marie Forleo (www.marieforleo.com), was on ways to appreciate and be appreciated. Be it your spouse, children, parents or colleagues at work, we all strive to be loved and appreciated by those that matter to us, and to demonstrate this in return. Marie was suggesting that in work and life it is helpful to understand how people experience and interpret love and appreciation so the efforts you make towards them can truly have an impact. While a bit unorthodox, her suggestion was to engage people in the test of their Love Language. She mentioned that this really helped her and her team know how to work together and ultimately appreciate each other best. So, I took the test. And my husband took the test. And my children. And my team. The results were fascinating and helpful. In my own family, our languages are different. Personally, I appreciate it most when people take things off my plate. My mind is a web of things to do so one less thing to think about is hugely valuable and appreciated by me. Be it “I grabbed the kitty litter, put that envelope in the mail, or will send that email” – it resonates and helps me feel loved. And call me cold, but I don’t resonate with physical touch (recall MC Hammer “Can’t Touch This”). My girls are all different. While most of them ranked “quality time” as their # 1, some prefer “words of affirmation” and one “physical touch”. Not surprising, my physical touch kid is the one that is always asking for hugs and snuggling up to me on the couch. Of great interest to me was that the one whose highest score was “words of affirmation” is also the kid that has a really hard time with conversations about things she did wrong or ways she let us down. That makes sense now as people with this love language “thrive on hearing kind and encouraging words” and can be “shattered by insults”. While we would never intentionally insult her, indicating that her school work is sloppy will make her feel unloved. Good to know. After we took the test and talked about it as a family, I took all of our ratings and put these in a chart by the door where we come and go. I wanted these to be in plain sight and a regular reminder that our Love Languages are different and this matters when we want or need to be loved and appreciated by one another. In a chaotic family of 6, this understanding is essential. So I then took this experience a step further. I asked the very important women I work with to also take this test. The results again were interesting. While my business partner and I tend to use small gifts as a way to show them appreciation, none of them ranked this as important. Most would rather have unsolicited compliments (“words of affirmation”) then a surprise Edible Arrangement. Some also prefer “acts of service” or being given “quality time” to feel valued. At work, we can easily implement appreciation actions by offering to help them complete a burdensome task, providing unsolicited compliments, or making sure they have our undivided attention when they need it. I consider the masterpiece that is myself to be always “under construction” and as such, I am repeatedly interested in ways to be better, do better, and spread love. Love does not need to be considered romantic and according to 5 Love Languages, can be cast over all we meet with through simple gestures, kind words, a pat on the back, a small token of appreciation, or by sparing some time from a packed schedule. Take the test here and see how you interpret love and appreciation and share that knowledge with those around you.